It was good, in my opinion, to see that Georgia’s largest newspaper still considers it is responsible to serve the public as a watchdog. The Atlanta Journal-Constitution’s Dan Chapman broke the story Sunday about Governor Sonny Perdue’s meeting with state employees in the Georgia Ports Authority about his trucking and grain companies seeking business with ports. And yesterday, according to AJC, Rome, Georgia ethics watchdog George Anderson asked Georgia’s attorney general and inspector general to investigate Governor Sonny Perdue for allegedly violating the public trust by meeting with state employees to boost his trucking and grain businesses. The paper’s Sunday story reported that Governor Perdue met in the Georgia Ports Authority in Savannah “with a half-dozen state employees” with the purpose of the meeting to discuss how the Ports Authority could help grow the governor’s private businesses. 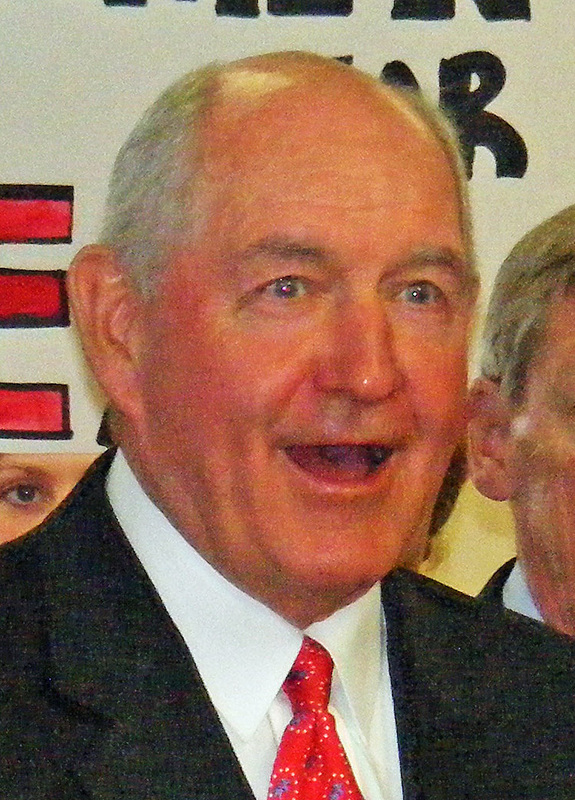 Responding to Anderson’s call for an investigation, AJC reports that Perdue spokesman Bert Brantley said, “This is yet another frivolous complaint filed by Mr. Anderson, solely based on a news story that was full of speculation and innuendo, not facts.” Previously he had stated that Governor Perdue and his associates were simply obtaining information available to any Georgian for his businesses in which the governor will become active after he finishes his second term. No matter how this turns out, the positive note to me is that the Atlanta Journal-Constitution is doing its Fourth Estate duty by serving as a public watchdog. Somebody has to keep an eye on what politicians are up to. After all, their actions have direct effects on our lives because they get to make the rules, rules that they sometimes break themselves. They may tell us during their campaigns that they are looking out for our interests, but it turns out that is not always the case, that they are sometimes primarily looking out after their interests. Let’s hope AJC keeps up the good work and that other news media follow their example. It’s their public duty, in my view. This entry was posted on November 18, 2010 at 9:06 pm and is filed under Media. You can follow any responses to this entry through the RSS 2.0 feed. You can leave a response, or trackback from your own site.